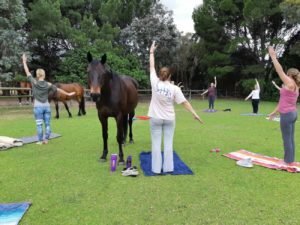 We are offering regular Yoga in the Paddock mornings at our Noordhoek venue. 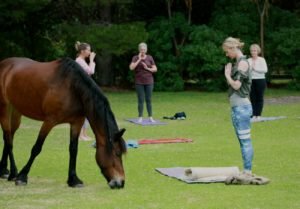 These are a chance for you to interact with our herd of horses in their natural environment and experience a new way towards inner peace, confidence and strength. Please keep an eye on our social media pages for updates on upcoming dates. 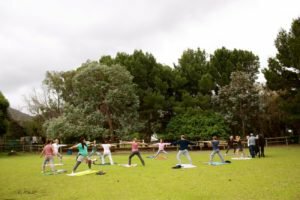 NOORDHOEK – Our first venue is situated on a peaceful, private farm in Noordhoek, surrounded by beautiful mountains and the sound of the sea. MORNINGSTAR – Our second venue, The White House Stables, is located between Durbanville and Melkbosstrand, easily accessible from the N7. Copyright 2016 The Equinox Trust. Created in WordPress by Obox Themes.